The Cupressaceae family of plants contains redwoods, cypress, cedars and junipers. The juniper is often small enough to be a shrub, but many species grow to tree size. Junipers exist mostly in the western United States, with a few exceptions that have wide distribution in the East. Junipers make good ornamentals, often serving as foundation plants because they can grow in poor soil. Junipers have several distinctive characteristics that can help you identify the varied species. 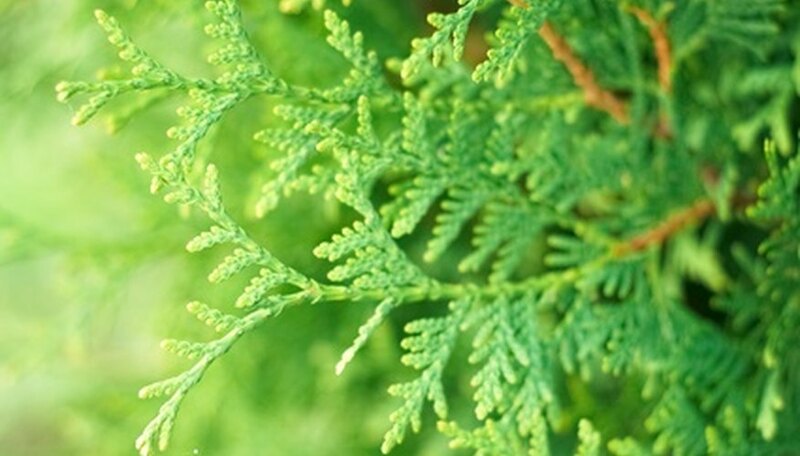 Examine the foliage of a juniper and look for what resembles evergreen scales covering the branchlets. Look for small, rounded or four-sided twigs that have overlapping scales covering them completely. One species of juniper deviates from this pattern. To identify the common juniper of northern regions of the North American continent, look for lance-shaped needles that are about 1/2 inch long. Common juniper rarely attains tree size and is usually a spread-out shrub. 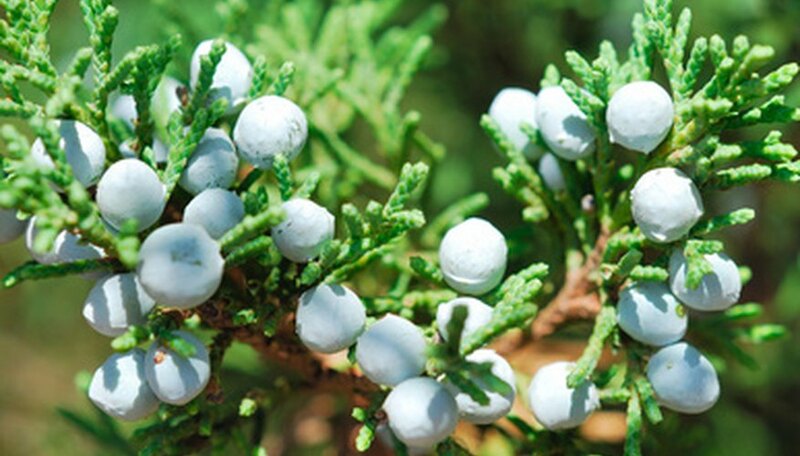 Inspect the cones of the juniper tree, which have a waxy coating, contain small seeds and can easily be mistaken for berries. The cones are fleshy and rounded in most cases. These cones vary in color. Look for blue-gray cones to identify the Rocky Mountain juniper, and red-brown cones for a Utah juniper. Estimate the height of junipers, taking into account that few junipers are large trees. The tallest species in the United States is the eastern red cedar, which can grow over 100 feet high. Most junipers are in the 20 to 60 foot height range, including drooping juniper, Utah juniper and western juniper. Look for trees that have multiple stems emerging from a typically-short trunk. Junipers are often shrubby looking, especially some of the smaller trees like Pinchot juniper and one-seed juniper. The junipers have irregular crowns and an unkempt appearance, with only eastern red cedar having a conical upright form. Note the habitat of where you find the juniper. In the wild, these species can grow under many conditions, but often occur on rocky ground that is dry--locations where few other trees can exist. Junipers are partial to rock-strewn slopes and hilly terrain as well as canyons and limestone regions.